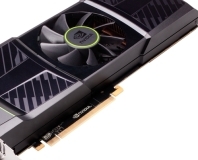 A bug in a particular driver can cause Nvidia's latest GeForce GTX 590 graphics card to blow up. That's not a metaphor - John Carmack really has just blown up another rocket in an attempt to reach the moon. Shouldn't he be busy with Rage?